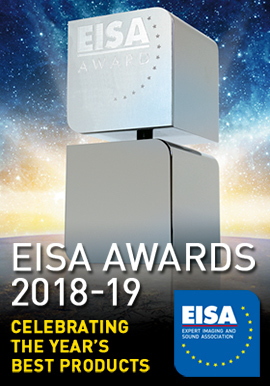 Most people will agree that, of all categories of audio component, the sound quality of loudspeakers varies most -- no two models of speaker sound alike, whereas the audible differences among well-designed solid-state electronic components, particularly power amplifiers used well within their power limits, are far smaller and more subtle. 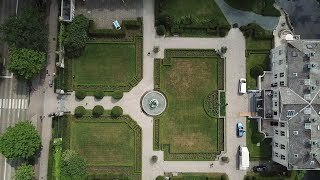 But that doesn’t mean that only speakers need to be carefully, critically listened to before being seriously considered as part of a topflight system. My friend Ron owned an audio store in the 1980s. Ron was more responsible than anyone else for getting me into the high end, and he gave me some sage advice. 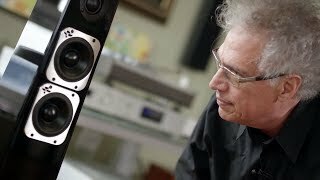 He knew that, because speakers could make more of a difference in a system’s sound than any other sort of component, they were what people would most often change in their quest for the ultimate sound. He advised those wanting to upgrade to buy the best-sounding, most reliable, most powerful amplifier they could afford -- it would last them a long time, and it wouldn’t be a constraint if, later, they bought speakers that were inefficient and/or difficult to drive. After all, it’s a nightmare when you buy a new pair of speakers, only to find that your amp isn’t powerful enough to drive them. Ron saw a good amp as a long-term investment. 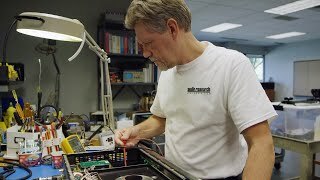 Ron’s advice was on my mind when Simaudio’s Moon Evolution 870A arrived at my door. 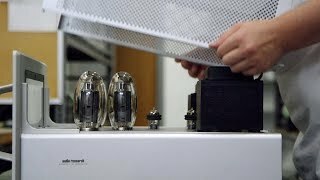 It costs $22,000 USD, is claimed to be “stable into any known speaker impedance,” and can deliver a ballsy 300Wpc into 8 ohms, 600Wpc into 4 ohms, or 1200Wpc into 2 ohms. It’s even bridgeable to mono, for 1200W into 8 ohms. 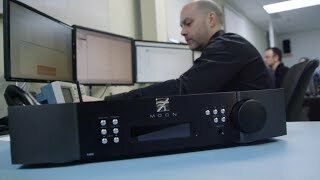 The Moon Evolution 870A, which measures 18.75”W x 7.5”H x 17.5”D and weighs about 90 pounds, is Simaudio’s largest, most powerful, most expensive stereo amplifier. Above the 870A in the line is the Moon Evolution 880M monoblock, which is rated at 800W into 8 ohms; below it are the Moon Evolution 860A and 760A stereo models, at 200 and 130Wpc into 8 ohms, respectively. The 870A’s other specs are also impressive. For example, the total harmonic distortion (THD) at 1W output is said to be less than 0.015% from 20Hz to 20kHz, and less than 0.04% for 300W output across the same bandwidth. Intermodulation distortion, something Simaudio’s design team contends is more relevant than THD when it comes to sound quality, is claimed to be “unmeasurable.” The claimed output impedance is less than 0.01 ohm, and the corresponding damping factor exceeds 800, which is pretty high (Simaudio specifies no frequency point or range for either figure). Commensurate with the 870A’s considerable power and cost is a heavy-duty, high-quality case that looks as if it will last a lifetime. On the black top plate, toward the front, is a large Moon logo on a thick plate of its own. The heatsinks run the length of the side panels. The faceplate is 3/8” thick and anodized in black or silver, and is flanked by what Simaudio calls “cheeks,” also silver or black anodized. The cheeks add a bit of curvature and flare to the 870’s face, which is otherwise quite spare: a small Moon logo at top center, the Standby button and LED at bottom center, and, at bottom left, next to the left cheek, the silkscreened model name. Thick, silver-anodized columns with triangular cross sections anchor each corner, and end in conical screw-in feet with flat bottoms. With all of this, and its substantial weight, this sturdy amp will have a firm footing on any surface. The rear panel boasts more connectors than are found on most power amps. Most noticeable are the four pairs of WBT binding posts -- two pairs per channel -- to ease biwiring. There are also pairs of single-ended and balanced inputs (I used the balanced throughout my listening), a nine-pin RS-232 port, a 12V trigger input and corresponding output, a fuse socket, an IEC-compatible power-cord inlet, and, finally, a rocker switch to turn the mains power to the amplifier on and off. All in all, the 870A is a powerful, feature-rich, well-built amplifier that comes with a ten-year warranty: one year from time of purchase, plus nine more years when the purchase is registered with Simaudio. Most electronics today come with warranties of five years, and an alarming number of companies offer only three years, or even one. It’s nice when a company is willing to stand behind its products for the long term. While listening to the Moon Evolution 870A, I had on hand a few other amps that provided vital comparisons. 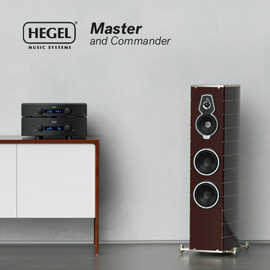 The stereo models were Ayre Acoustics’ VX-5 ($7950) and Hegel Music Systems’ H30 ($15,000). The VX-5 is rated at 175Wpc, the H30 at 350Wpc, both into 8 ohms. 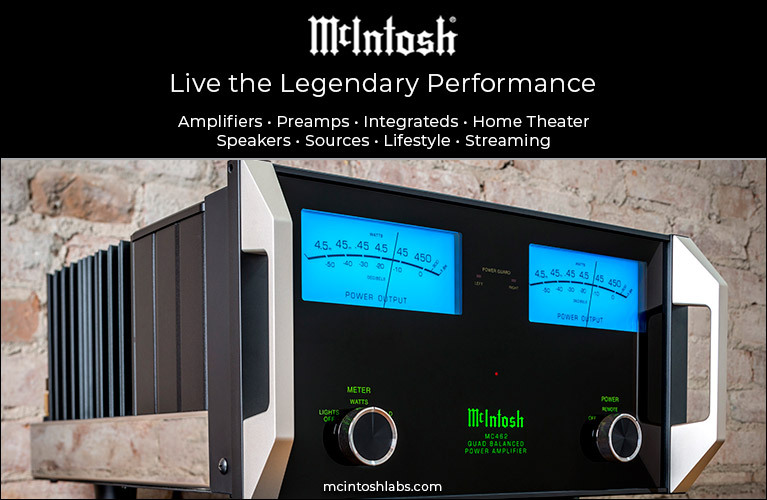 I also had a pair of Anthem's Statement M1 mono amps, a class-D design rated at 1000W into 8 ohms ($7000/pair). 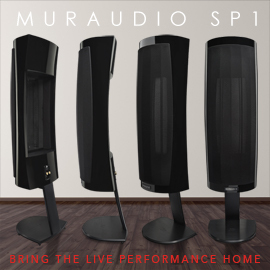 Many speakers visited my listening room during this listening period, and I successfully used the 870A with all of them, which spoke well for its versatility. But mostly, I paired the 870A with two models also in for review: Magico’s S5 ($29,400/pair) and Polymer Audio Research’s MKS ($42,000/pair). 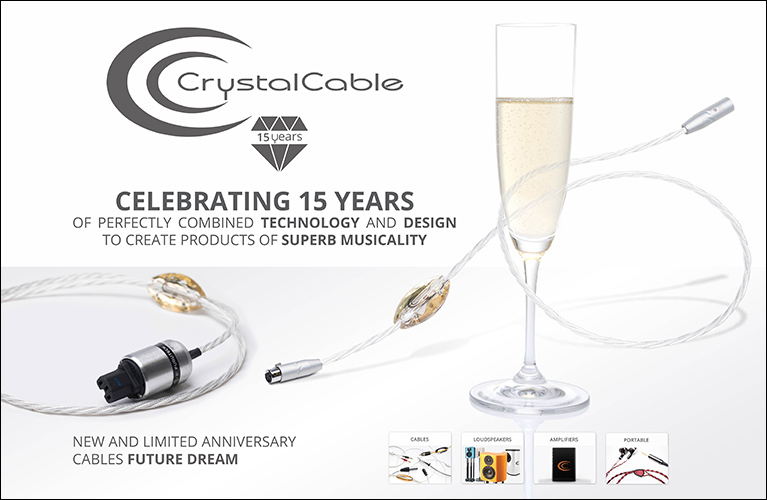 Speaker cables varied between Siltech’s Classic Anniversary 330L and Crystal Cable’s Dreamline Plus. I own the Siltechs; the Crystals were here to be evaluated. Preamps were the 870A’s companion model, Simaudio’s own Moon Evolution 740P, which I reviewed; and EMM Labs’ PRE2, also in for review. These were connected to the various amps with Crystal’s CrystalConnect Standard Diamond interconnects, which I own. As with the interconnects, my digital front end was a constant: Samsung laptop feeding an EMM Labs DAC2X digital-analog-converter via an AudioQuest Carbon USB cable. 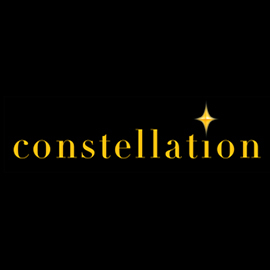 The interconnects linking the DAC and whichever preamp I was using were another pair of CrystalConnect Standard Diamonds. The 870A remained with me for many months -- more than normal, due to my very long review queue -- and worked flawlessly the entire time. I left the 870A’s main power switch on almost all the time (though in Standby when I wasn’t listening to it), which speaks for its reliability, but turned out to be necessary: The 870A sounded much, much better when left powered on all the time. Simaudio is aware of this. Lionel Goodfield, the company’s marketing manager, warned me not to listen critically to the 870A until I’d installed it in my system and left it powered on for at least a couple of days. Boy oh boy, was he ever right. Fresh out of the box, the 870A sounded cold and clinical, lacking the refinement anyone would want and expect from a $22,000 amp. After a few hours, though, the sound began to smooth out. A day later, the 870A had reached about 90% of its potential -- the highs, in particular, sounded much more refined, and the resolution had markedly increased. After two days, the sound was fully there. So if you’re serious about sound -- as of course you are, or you wouldn’t be reading this review -- leave the 870A’s main power switch on all the time (except for when you’ll be away for more than a day or two), and use only the front panel’s Standby button for day-to-day operation. Well-designed solid-state amps used within their power limits tend to sound more similar than different, so it was no surprise that Ayre’s VX-5, Hegel’s H30, Anthem's Statement M1, and Simaudio’s Moon Evolution 870A had the kind of similarities good solid-state designs are known for: wide bandwidth (i.e., no rolloff at the extreme ends of the audioband), exceptional neutrality (no tonal colorations), outstanding clarity, high levels of detail, and low levels of noise. Still, some important characteristics differentiated them. The VX-5 had a sultry smoothness and richness, particularly in the midrange, and sounded decidedly more laid-back than the other three amps. The H30 and M1s sounded more immediate than the VX-5, the H30 having, by far, the most upfront sound of the four -- vivid was the word that came to mind every time I listened to the Hegel, regardless of which speakers it was driving. The 870A and the M1s cut a line more or less through the middle, with sounds that fell between those of the laid-back Ayre and the upfront Hegel. What the 870A also had in common with the VX-5 was a subtle richness in the midrange that I’ll touch on more below. 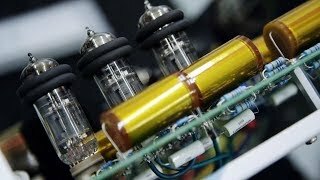 Another characteristic of the 870A is something I now consider to be a hallmark of Simaudio’s top integrated and power amplifiers, as I’ve heard it in every such model I’ve reviewed: an ultraclean sound combined with a subtle richness, fullness, and sweetness in the top frequencies of the audioband that’s quite unlike the sound of any other solid-state amp I’ve heard, including the three discussed in the foregoing paragraph. For me, golden is the word that best describes this characteristic, which sounded not unlike the top-end smoothness and richness of a great tube amp. This quality revealed itself readily with recorded cymbals. For example, 42 seconds into “Within,” from a high-resolution version of Daft Punk’s Random Access Memories (24-bit/88.2kHz FLAC, Columbia/Édition Studio Masters), cymbals begin to be lightly struck. Through the 870A, the golden tone at the top gave the cymbals real weight, with the authentic sound of wood on metal. I wouldn’t describe the 870A’s midrange as being as “golden” or “tube-like” as its topmost frequencies, but it was still subtly richer and warmer than all but the Ayre VX-5 (and Ayre’s more expensive VX-R, which I reviewed almost two years ago). As a result, voices had enough body, texture, and weight to sound authentic and real, as opposed to the thin, lifeless sound that many associate with solid-state amplification. Petra Magoni’s silky voice on Musica Nuda’s self-titled debut album (16/44.1 FLAC, BHM) was rendered with absolute purity, and just the right amount of presence to give it realism. Willie Nelson’s voice is usually quite close-miked on his recordings -- it tends to sound full, present, and rich no matter what kind of system you use -- yet even with a hi-rez rig, he can still sound dry if the electronics lean that way, as I’ve heard in my house with various amps. But through the 870A, Nelson’s voice throughout his new album of duets, To All the Girls . . . (16/44.1 FLAC, Columbia/Legacy), had the fullness and presence inherent in the recording, along with the subtle richness and warmth that’s inherent in the 870A’s sound, which made it sound nothing short of spectacular. If you think that all solid-state amps sound inherently lean, listen to the 870A -- it’ll likely change your mind. Another strength of the 870A was its ability to present soundstages in my room -- as wide and deep as the recording would allow. There was also outstanding image focus from left to right and from front to back, making performers’ positions onstage easy to discern -- Magoni and her musical partner, double bassist Ferruccio Spinetti, were positioned precisely, with easily identifiable space between them. The 870A’s re-creation of the spaces around musicians was a product of its topnotch reproduction of resolution and detail -- something that didn’t much surprise me, as it’s also a strength of the 740P preamplifier. 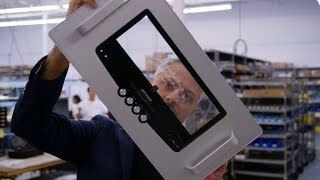 I particularly noticed this when I used the 870A with the Polymer Audio Research MKS speakers, which are equally adept at the accurate reproduction of soundstages -- the size, the sense of space, the precision of images. Together, they made sonic magic. For example, in “Within,” Chilly Gonzales’s piano was placed decisively at the rear of the stage, a few feet back from the plane defined by the speakers’ front baffles, and surrounded by what seemed a tremendous space. My ol’ soundstaging-and-imaging standby, Ennio Morricone’s score for the film The Mission (16/44.1 FLAC, Virgin), which I’ve listened to longer than I’ve been reviewing, was reproduced in my room through the Polymers with as much width and depth as I’ve ever heard. I didn’t want the 870A’s power-output spec to overshadow how it actually sounded well within its power limits. That sound, as I’ve outlined, was outstanding, with a combination of certain sonic characteristics that can be called its own. I could see someone buying the 870A even if they don’t need all its juice. But to those who do need a lot of power, probably the most important thing I can say is this: The 870A's combination of excellent sound and high power made it possible for me to do a better job of reviewing the Magico S5 and Polymer Audio Research MKS speakers than if I’d been using one of the other fine amps I had on hand. These speakers demand from an amp more than the norm. The Magico S5 has an average sensitivity of 87dB/2.83V/m, but its impedance dips to 3 ohms from 60 to 70Hz and from 10 to 20kHz, which makes it a somewhat difficult load for some amps. Magico claims that the S5 can play extraordinarily loud -- something I found to be true, but for which I needed plenty of power. The Polymer MKS’s impedance stays above 4 ohms through the audioband, and is well over 8 ohms from 1.5 to 20kHz, so it’s a pretty easy load -- but its sensitivity is a good bit lower than the norm at only 84dB/2.83V/m, which means that it will need more power to play at the same volume level as a more sensitive speaker. 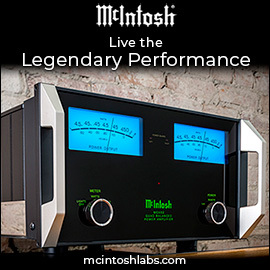 (Every 3dB increase in output from the loudspeaker requires a doubling of amplifier power.) The MKS’s bass is also fuller and less damped than most speakers’, which requires an amp with great low-end control to keep its woofers on a tight rein. And it was with the Polymers that the less powerful Ayre VX-5 didn’t work well -- the Ayre audibly clipped when I played the system really loud, and exerted not nearly enough control in the bass, which sounded too loose. But the Moon Evolution 870A worked flawlessly with both speakers, and brought out the best sonic characteristics of each. That’s why I repeat that, despite speakers making the biggest difference in a system’s sound, they can’t be thought of in isolation -- any amp they’re paired with must be up to the task of driving them. The 870A drove the Magico S5s with ease and aplomb: I could play them as loudly as I needed -- or could stand. The 870A never struggled at any volume level, nor did it audibly clip at the highest volumes I tried, which were deafening and far beyond what I’d recommend anyone listen to for any period of time -- I did it only to test the 870A’s limits. Ditto for the insensitive MKSes: I didn’t play them quite as loudly as I had the S5s, if only because, unlike Magico, Polymer doesn’t brag about output levels -- but I did play the Polymers at unreasonably loud listening levels with no apparent clipping by the 870A. Anthem's Statement M1s provide more power than any of the other amps I had on hand, but the 870A showed me that you don’t really need that much power with these speakers, and probably with most. Most important, the 870A ably controlled the MKSes’ woofers, providing outstanding bass weight best described as being nothing short of thunderous -- when I played recordings with serious low-end heft, they really charged up my room. The Magico’s bass isn’t as voluminous as Polymer’s, but what the S5 sacrifices in level it makes up for in detail and control. 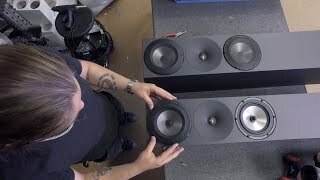 With the 870A driving the Magicos, I experienced the most detailed bass ever in my room, which bodes well for the amp’s power, authority, and control in the lowest frequencies. The ability of Simaudio’s Moon Evolution 870A to provide more than enough power to drive with ease almost any speaker out there means that it can survive countless upgrades of loudspeaker. 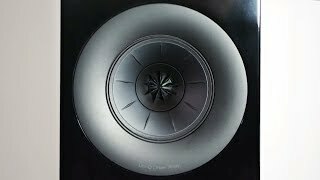 If there’s a speaker out there that the 870A won’t drive well, that speaker must be hellaciously inefficient, an extraordinarily tough load, or be able to play mind-bogglingly loud. But as important as the 870A’s power is its quality of sound -- ballsy, gutsy, and authoritative in the tradition of high-powered solid-state amplification, yet with a top end that sounds not only ultraclean, but rich to the point of being “golden” in tone. 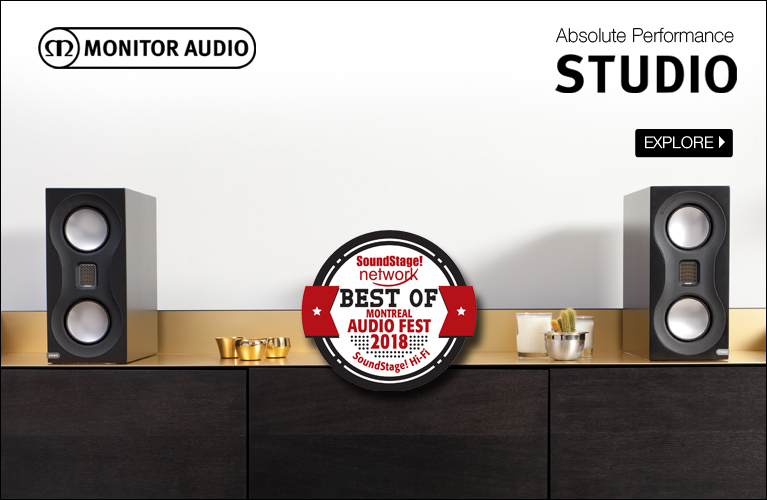 The 870A’s midrange is also subtly richer and warmer than solid-state is normally thought to sound, and it can create a soundscape that’s up there with the best in terms of size and image specificity. On the downside . . . well, there’s really nothing that I consider a functional or sonic flaw. That’s not to say that everyone will love the sound of the 870A -- there are subtle differences even among the best amps, which is why, in the high end, so much comes down to personal taste. But I heard nothing off-putting or wrong in what the 870A did. 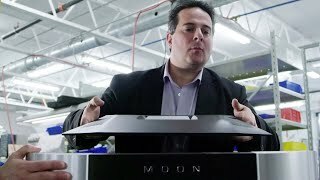 The Moon Evolution 870A is the kind of amp my friend Ron would have wholeheartedly recommended to those who can afford it. So can I -- as it will likely survive many speaker upgrades, it might be the last amp the buyer will ever need.